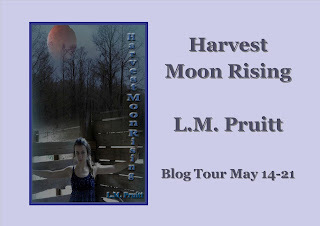 Reader Girls hosts the Harvest Moon Rising tour today. L.M. Pruitt is one of our mom's favorite authors and we're thrilled to have her stop by here today. Blurb: Cari Gravier might have learned the town's big secret, but some things remain constant: the Old Town Cafe, blackberry harvesting, and the shaky relationship with her ex-husband, Mike Sullivan. But there's more change in the wind, the kind even half blind Old Willis can see. The seeds of the past--betrayal, violence, and heartbreak--are ready for harvest. A question I get asked repeatedly is where I get the idea or inspiration for characters such as Jude, Frankie, and Cari. The simple answer is: I don’t have a simple answer. When I started writing about Jude, I had the simple goal of telling a story about a girl that has something huge thrust upon her and how she deals with it. I didn’t want her to be wishy-washy or fragile or, well, boring. I wanted her to be the kind of girl I would hang out in a bar with and wouldn’t mind facing a gang of strangers in a dark alley. Mission succeeded and Jude was born. We’ve had our ups and downs, but Jude and the gang are working things out. I’ve got hopes that everything will end up in the right place. Frankie was a surge of creative brilliance. I don’t mind saying that, because for once it’s true. My critique partner and I were tossing around the idea of doing a book together, and she suggested a paranormal private investigator. The entire first chapter of Taken was hammered out in an hour and with the exception of a few snippets of dialogue and description stayed the same. The character of Frankie evolved as I read more and more about the crime fiction genre and as I delved in to noir. I like to think of her as the best of both the men and women of the genre, remixed and updated for our generation. Cari… Cari is probably the closest to my heart because she’s the closest to me. The way she talks, the way she thinks, the way she feels and reacts, all of that is much more in line with me with anyone else I could name. I don’t know if that’s the result of setting the town in my geographical region or just not having any goals in mind when I started writing the character, but it’s the truth. Out of the three females, Cari is the one who has helped me work out a lot of my own personal issues. Whenever her story is over, however it ends, we’ll both be in a better place than we were at the beginning of the series. I don’t think there’s any set way to be inspired. I feel like every female character I write is created with a purpose, even when those characters are rude and annoying and far from level-headed (I’m looking at you, Jude Magdalyn.). Maybe I don’t know the purpose at the beginning, but it’s still there, and as long as I can catch a spark of something from anything, I’ll keep creating characters like Jude and Frankie and Cari. In other words—to paraphrase a wonderful noir quote—hold on to your hats, folks. It’s gonna be a wild ride. About the author: L.M. Pruitt has been reading and writing for as long as she can remember. A native of Florida with a love of New Orleans, she has the uncanny ability to find humor in most things and would probably kill a plastic plant. She is the author of the Jude Magdalyn Series as well as New Moon Rising, featuring Cari Gravier, and Taken, featuring Frankie Post. 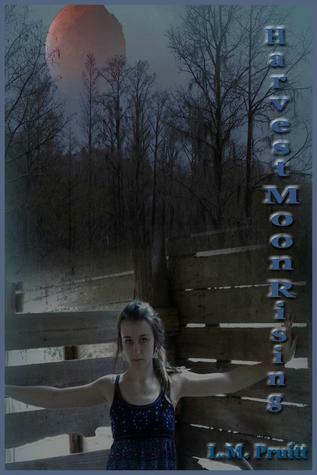 She is currently at work on the next book in the Jude Magdalyn series, Shades of Blood, due out June 2012. Ms. Pruitt makes her home in Florida with two cats--one smart, the other not so much.